Blog Pods, Are They Worth It? Blog pods have been a massive game changer in the blogging world this past year, and i'm pretty sure every blogger has dabbled with blog pods here and there. I myself have been in a few pods for different platforms, and whilst I do think blog pods are great for many reasons, I thought i'd share my thoughts on them, especially if you're considering joining a few pods. 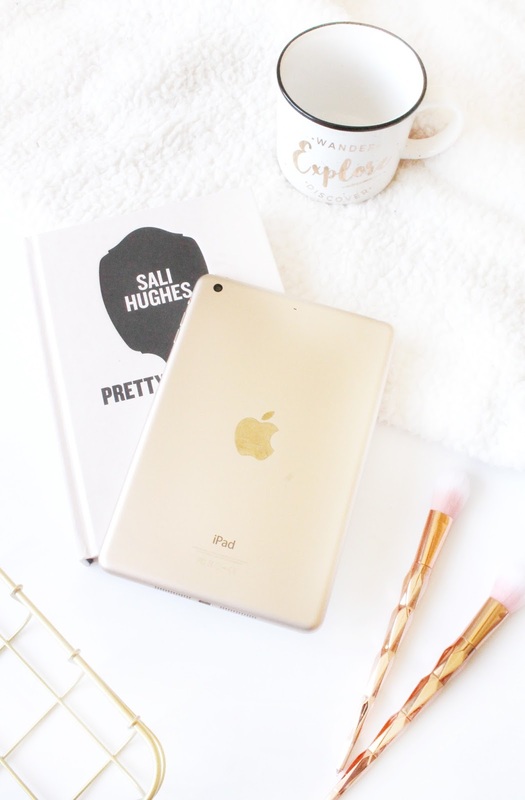 I remember back when blog pods were a bit of a new thing, and I joined a few firstly on Instagram to try and 'beat the algorithm' and to generally engage more with fellow bloggers, which then turned into a few more for various platforms. However, after a while of being in them I just found it to be so hard to keep up with them, and essentially is sucked all of the fun out of it for me, so I removed myself from all of the pods I was in to have a bit of a break and find the passion I used to have for Instagram and blogging. I felt doing this post would be good and beneficial to those with little experience of pods, to give two sides to it from someone who has been in pods, and then also the after effects of leaving them etc, and just my general thoughts on them. Essentially a blog pod is a pod of people who share their latest posts, whether it be Instagram posts or blog posts etc and then everyone in the pod has to like and/or comment depending on the rules of the pod. Typically everyone communicates through DM on Insta or Twitter, but I have heard of it going further into apps such as WhatsApp etc in order for a larger amount of people to communicate. For me personally there are definitely pros and cons to blog comment pods, as some people love them and some people hate them, the same as most things in this world. - You get to engage more with bloggers, those you may already know and those you may not. - It gives you opportunity to discover new bloggers, those you may not have seen because of the algorithm. - It allows you to gain extra exposure, thus creating more impressions, likes etc. - You're a part of a support system, one where if you do need advice on pretty much anything you'll get it (this obviously depends on each individual comment pod, but the girls in all of mine were babes). - They're hard to juggle, especially for those who like me have a full time job (with an hour commute, and one where I rarely leave the office 'on time'). - They create a lot of pressure to keep up with, especially because you have to do it, you have to comment and like, making everything seemed forced and non genuine. - Some pods are stricter than others, and often some of the rules make it harder to find enjoyment. - Although 99.9% of the comments you receive are genuine, you will always get one or two that comment 'nice photo' or 'that looks cute', which in turn come across spammy or non genuine. For me personally it was just too much, as I mentioned briefly above juggling them with a full time job, one that isn't your a normal 9-5 and also fitting in blogging, friends and everything else just made me feel so down about everything to do with blogging. Fair play to those that do it and make it look easy, because I can tell you it is not easy not one bit! I know i'm not alone either, as i've spoken to many bloggers and social users who too felt that it sucked all the fun out of it for them and felt like forced engagement, rather than genuine engagement. One thing I prided myself in was actually being genuine with every comment I left, but I would then feel other weren't being genuine, thus making me think 'why do I bother?'. Having said that I did make some genuine friends from the pods I was in, and I still support those gals now just more from a far and when I can. Whereas others i'm pretty sure have unfollowed me, purely because I left the pods, but thats life and i'm not going to get myself down about that. Since leaving the pods I haven't really noticed much of difference other than I don't get anywhere as many comments, but my likes are still pretty much the same and my followers are still stuck where they have been for the last three months (joys of Instagram). As for the pod I was in for Bloglovin', essentially I am just getting genuine likes from those who have actually enjoyed reading my post, which is all I care about essentially. If you are thinking about joining Instagram pods or blog pods, I would honestly say go for it! You have absolutely nothing to lose, but just be mindful there are always going to positives and negatives, and some things don't always work for everyone. What are your views on blog pods?